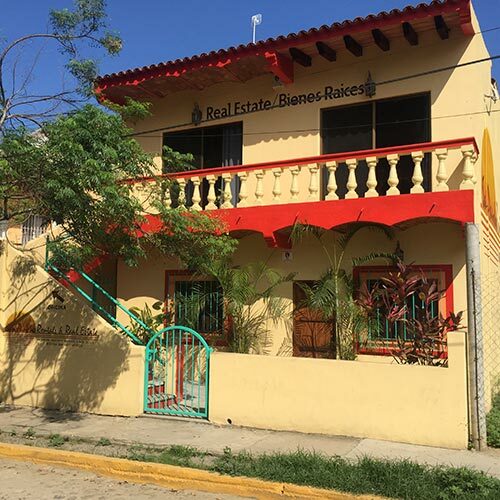 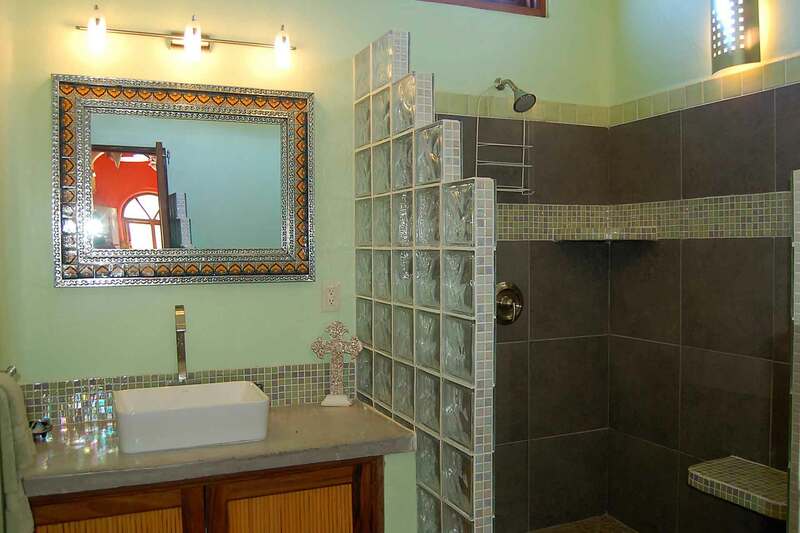 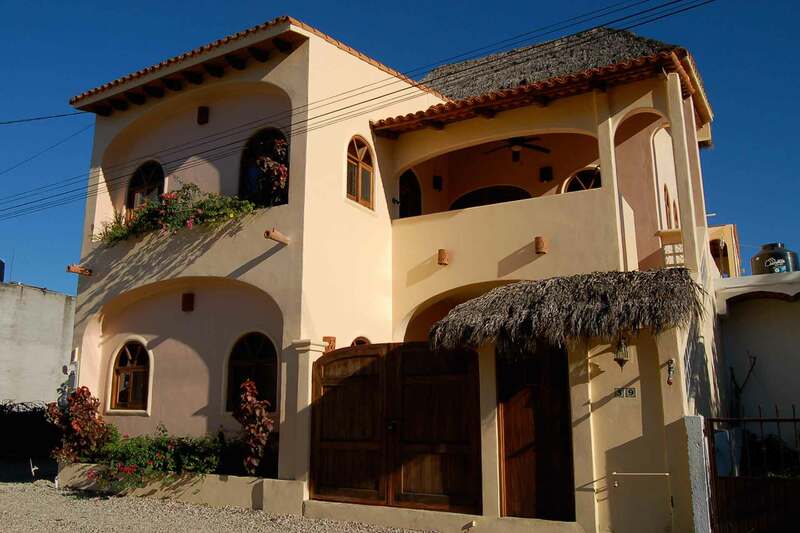 Casa de los Milagros is part of a two-level duplex located in El Izote, a new residential area of San Pancho just minutes away from restaurants, mini-grocery stores, and the pristine Riviera Nayarit Beach. 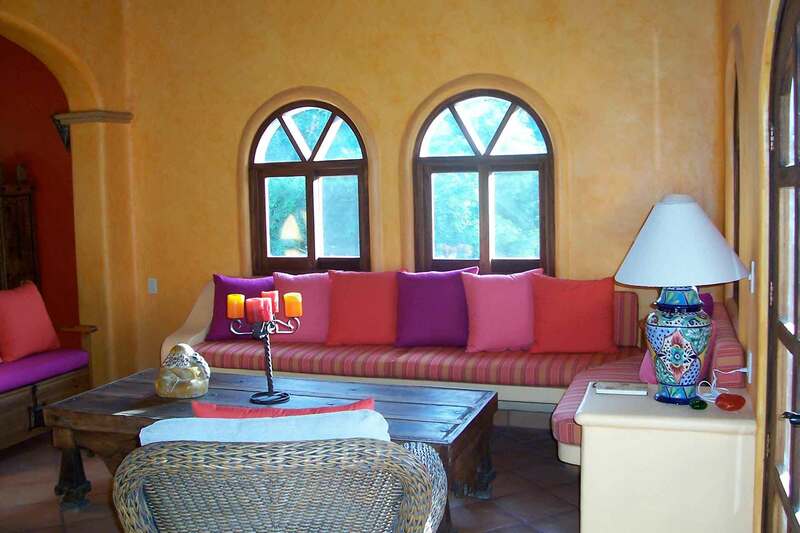 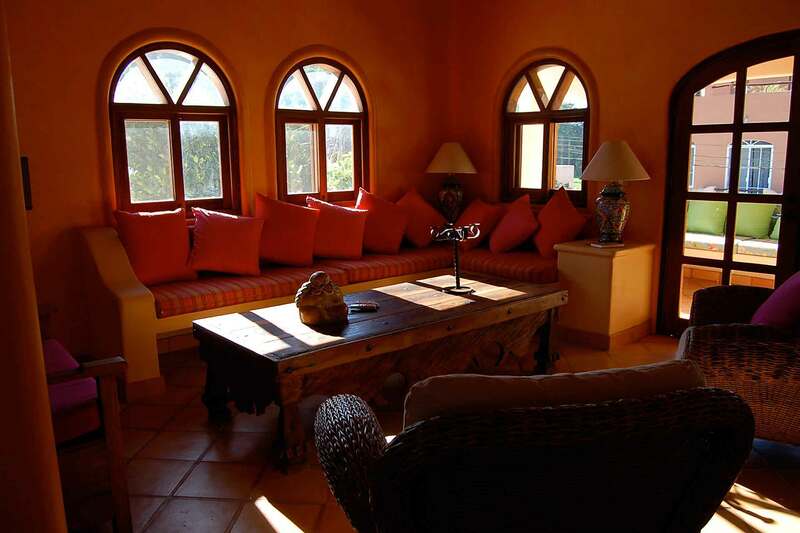 This home embraces the vibrant color and flair of local Mexican homes with its soft curved arches, terra cotta floors, tropical wood windows and French doors.  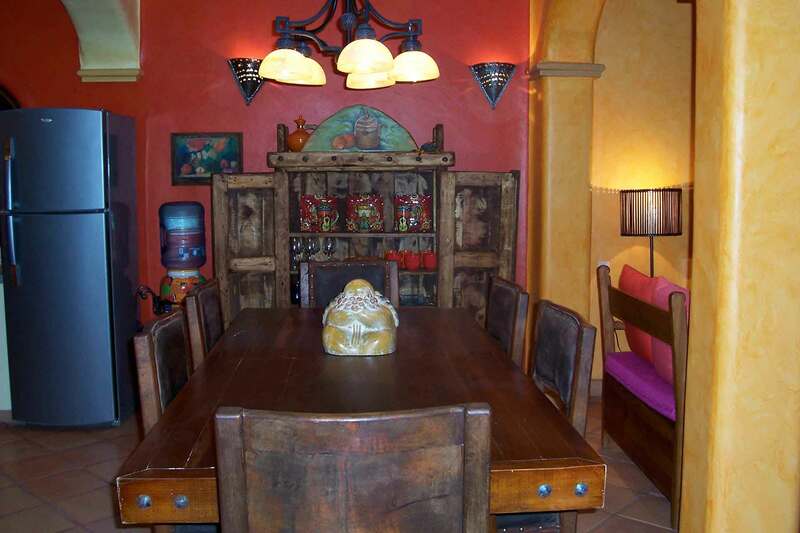 The furnishings and artwork are locally designed and crafted to match the comfort of the home. 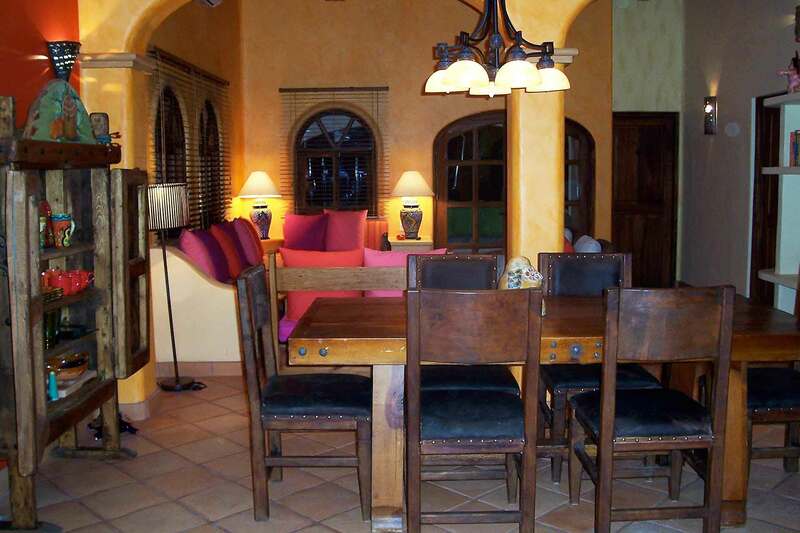 Casa de Los Milagros is situated on the upper level, and includes two elevated terraces. 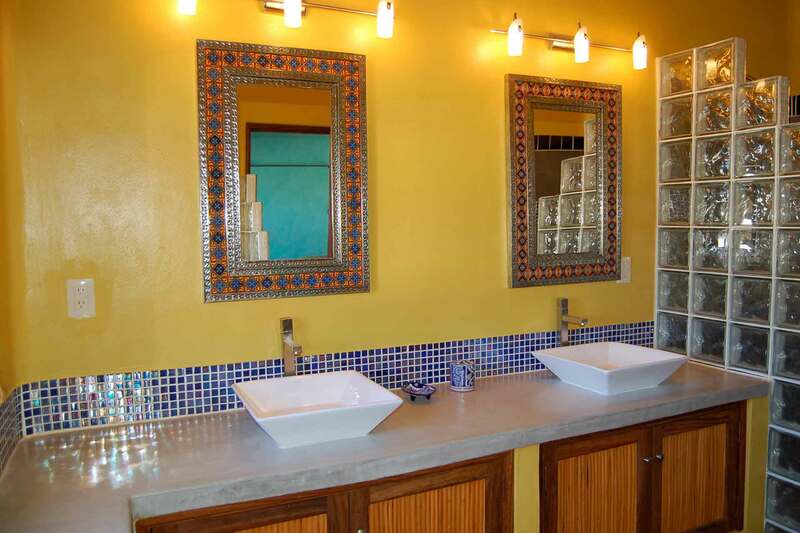 The charming master suite, with its large window box of cascading bougainvillea, has a king size bed, A/C, and a spacious bathroom with shower. 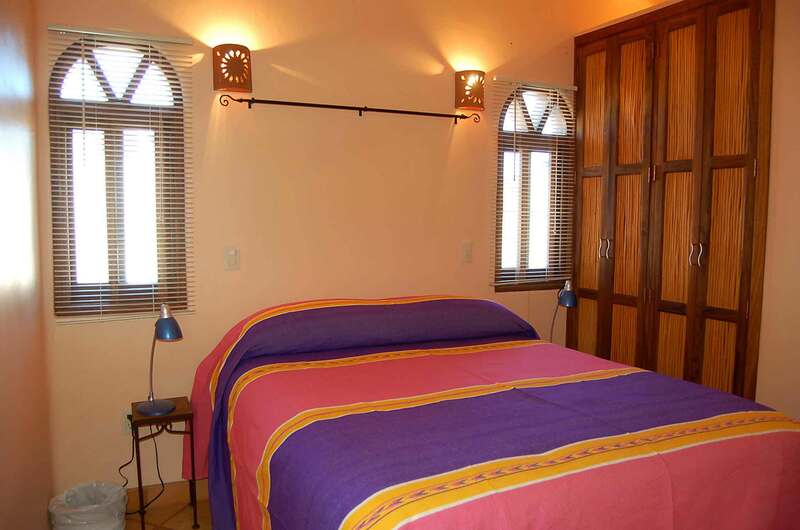 The second bedroom has a queen size bed, A/C, and ceiling fan, and uses the adjacent full bathroom with a large tiled shower. 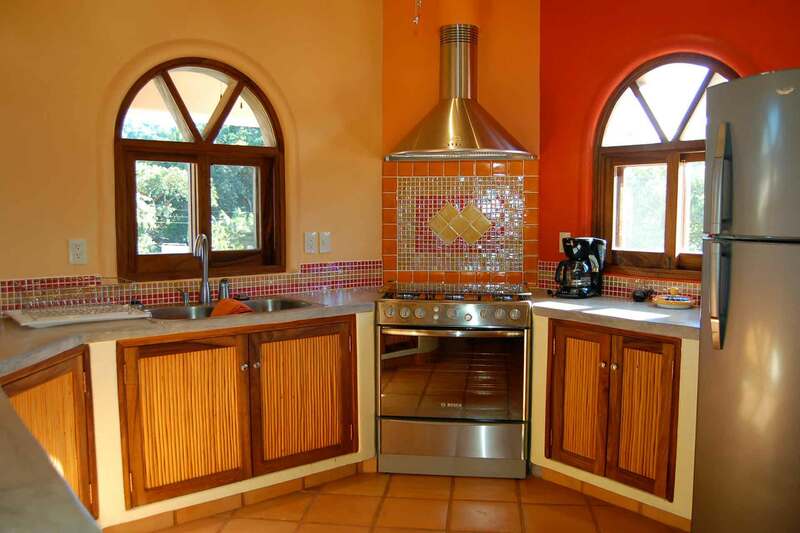 A bright and cheery, fully equipped family-style kitchen with breakfast bar adjoins the ample, open dining/living area. 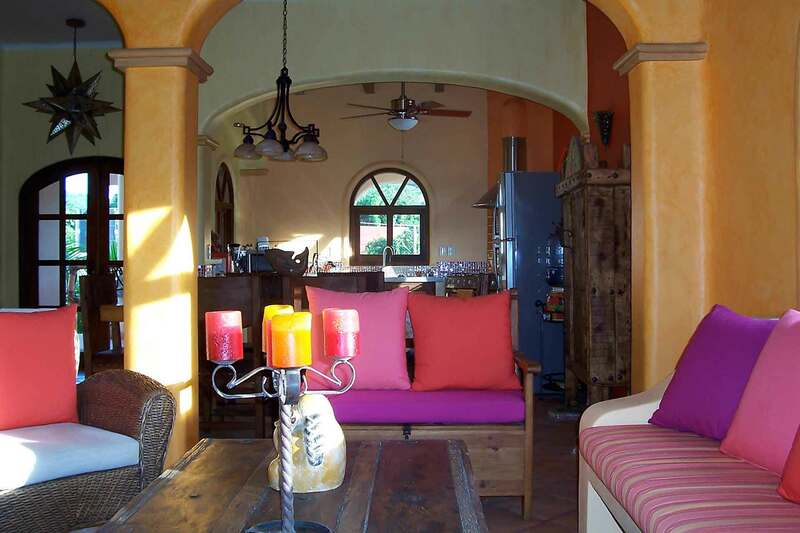 The spacious living area has deep wicker chairs and extra wide couches destined for naps, reading, or listening to music. 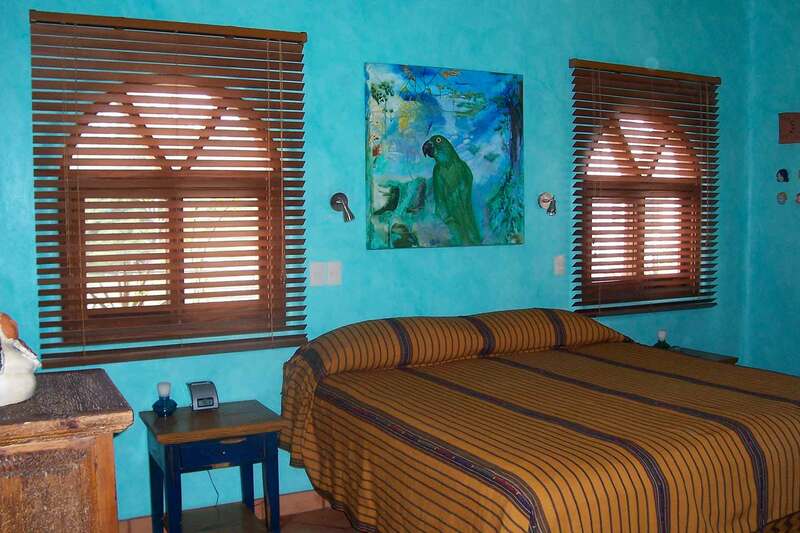 All rooms are equipped with A/C and/or ceiling fans. 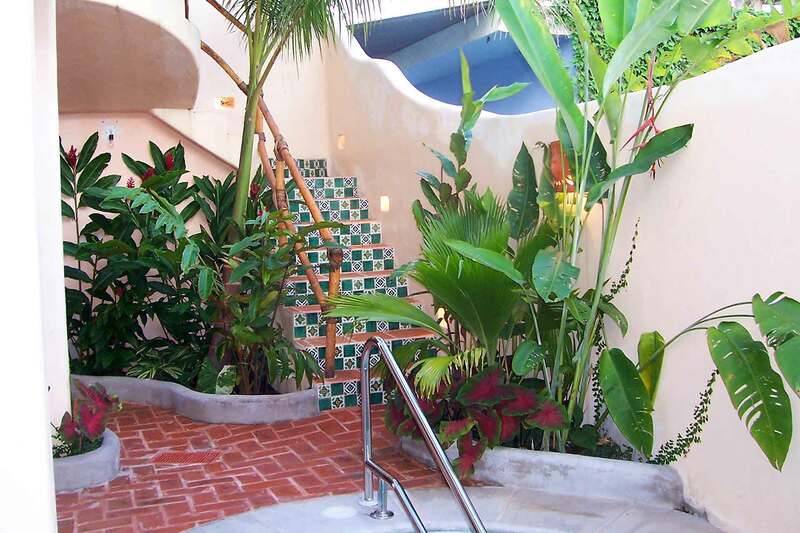 The shared pool and terrace with underwater bench and overhanging waterfall offers a cozy place to dip and refresh. 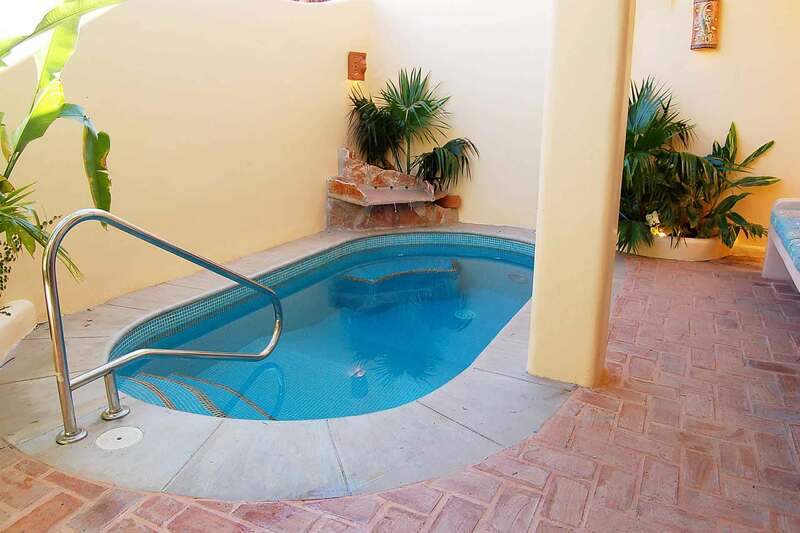 A semi-circular set of comfortable steps into the pool offers the perfect spot to gather with friends and family. 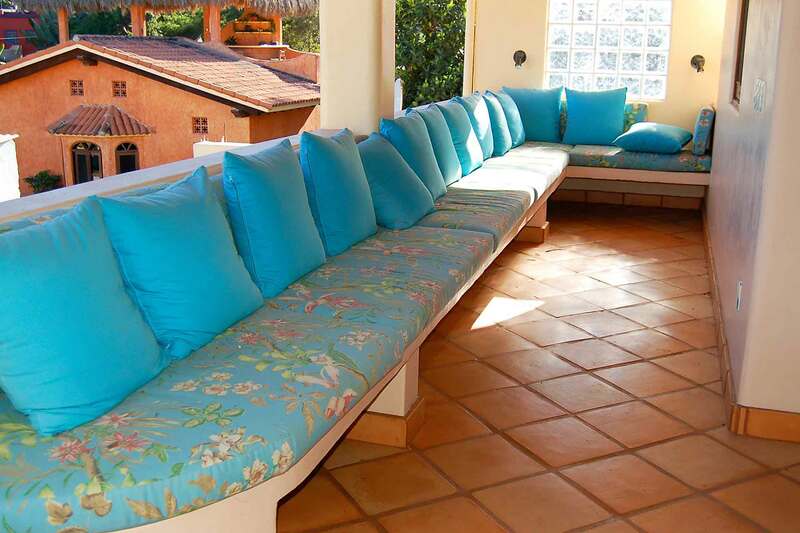 The shared rooftop terrace is covered by a magnificent open palapa with breathtaking 360 degree views of the pueblo, surrounding mountains, jungle, and a glimpse of the ocean. 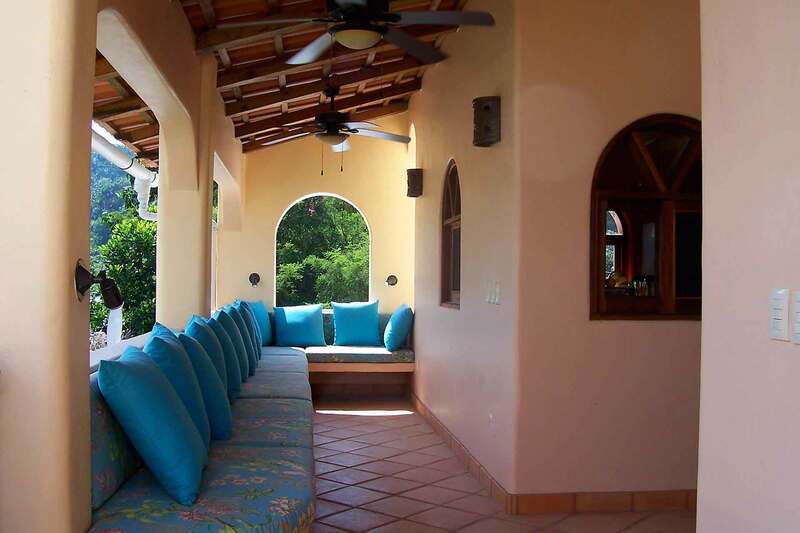 Lounge in the shade, reclining on soft cushioned couches while enjoying the gentle ocean breeze, or enhance your tan on the adjacent open terrace. 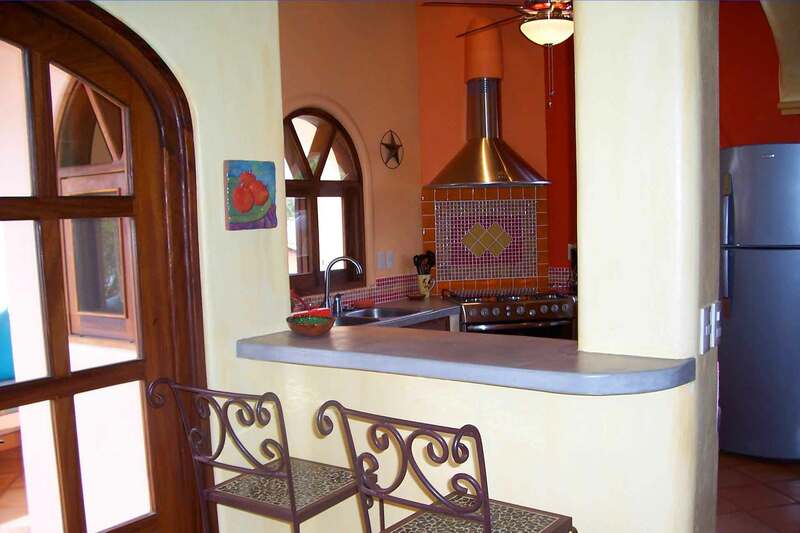 Sipping your favorite beverage at the bar while enjoying the bright sunrise or crimson sunsets makes this the perfect space to share with friends or family. 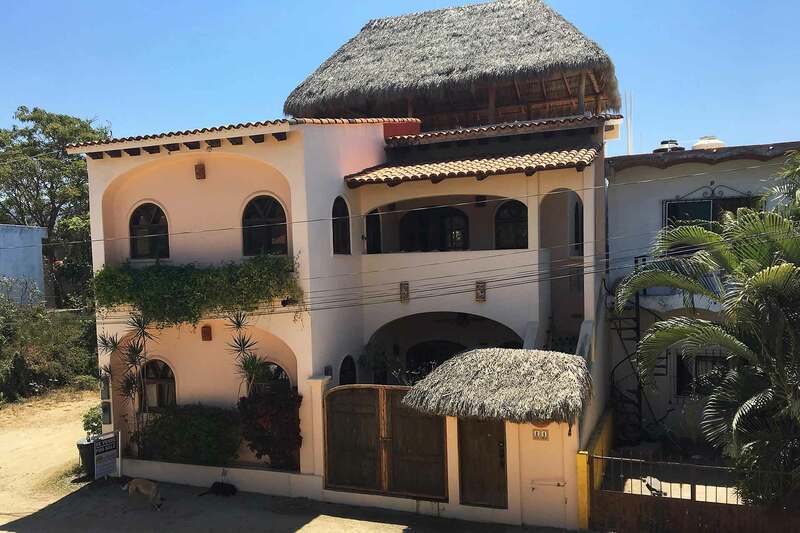 This home is part of a two-level duplex consisting of another two-bedroom home, Casa Alegre, which has its own private entrance. 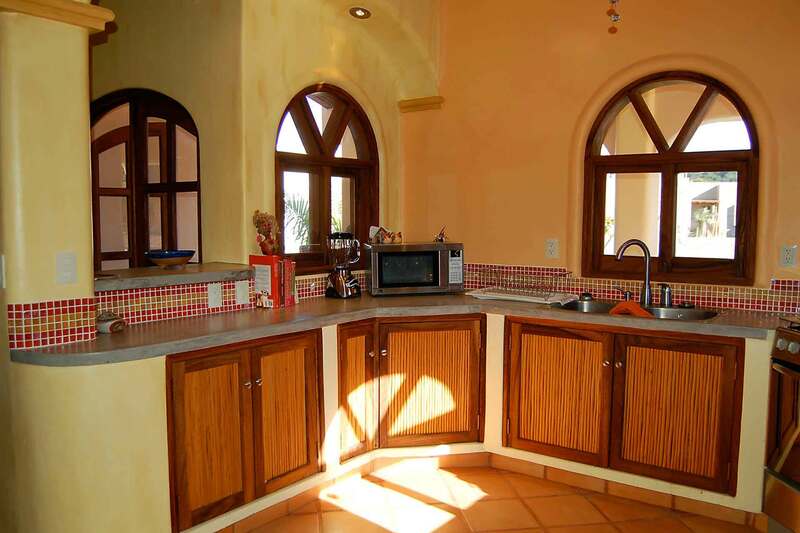 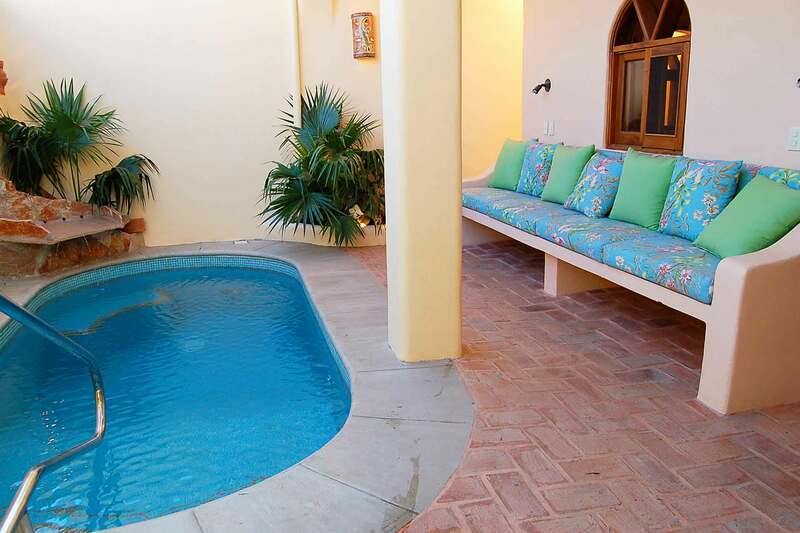 Both houses can be rented together to make a four-bedroom villa, Villa Amigos. 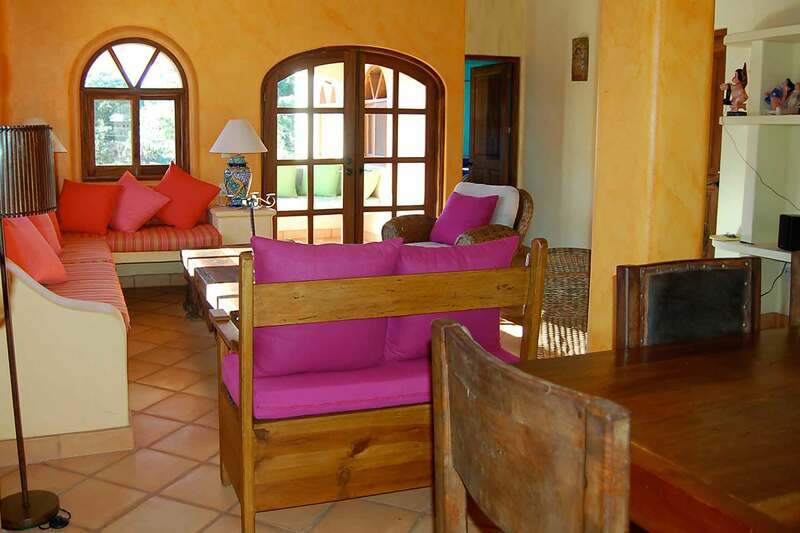 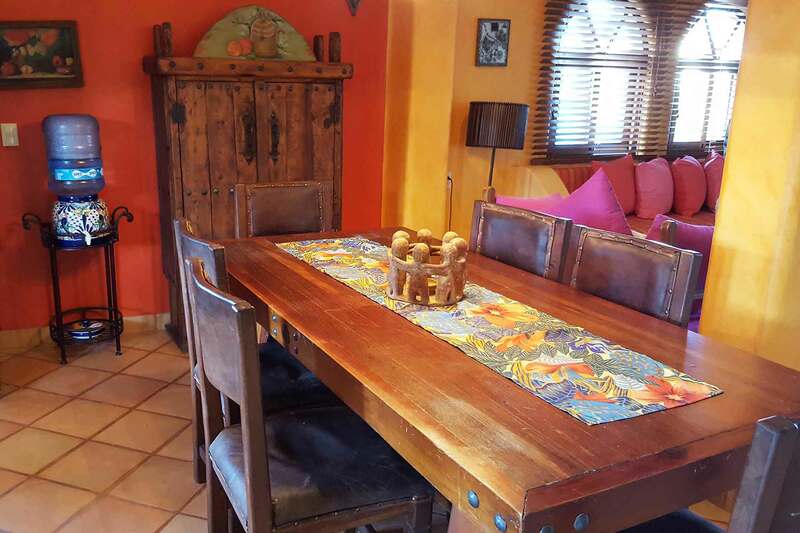 Click to view the two-bedroom, Casa Alegre. 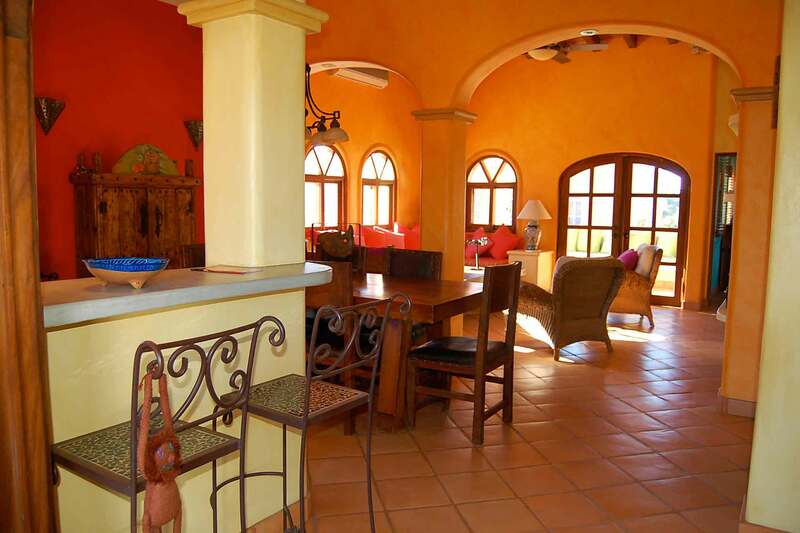 Click to view the four-bedroom, Villa Amigos.